In my last blog entry, I mentioned that my main passions in life came together to create the ideas behind my latest manuscript, a 40,000 word novel for 10 to 14 year-olds. When I look at the manuscript now, it's obvious to me why I didn't write this story earlier. I needed the passions of the last ten years to combine with an earlier passion from my adolescence. At this stage, I'm limiting my blog entries to the one passion that was reignited after, well, many years. As I write more about the ideas behind my manuscript, we'll delve into my other passions and the research behind them, too. Last September, my partner wanted to watch a documentary. I wasn't keen but I'm not one to deny my partner's wishes. So we sat down and watched the documentary. I had no clue, from the title, that I would be reintroduced to the Maya from the Classic Period. After watching the documentary, I felt my interest in the Maya rekindled. I knew there was an idea lurking somewhere in the deep recesses of my mind but I couldn't, at that point, reach it. One thing was for sure, I wanted to learn about the Maya. This ancient civilization once again fascinated me, as it had done when I was an adolescent. Naturally I had to research the reignited passion. I had forgotten anything I'd learned in my adolescence and I had no story, no plot, just the inkling of an idea. Before I started writing, I spent a month or so reading about the Maya. I'm still reading about them today. The Maya of the Classic Period (250 to 900 AD) lived in Mesoamerica (Central America). They built fabulous cities, complete with pyramids, temples, palaces, administrative buildings and apartments. These cities were abandoned around 900 AD for reasons we can only guess at today and were swallowed up by jungle. The cities literally disappeared under lush vegetation, to be rediscovered mainly in the 1800s. Building impressive urban developments, complete with towering pyramids, might not be a challenge today. But the Maya didn't have the tools and machinery of our modern world. Apparently, the Maya didn't have access to metal and therefore had no metal tools. They only used the wheel on children's toys. The wheel wasn't much help in the uneven jungle or mountainous terrain of Central America. Nor did the Maya have large animals, like the horse, to aid in their building work or agriculture. 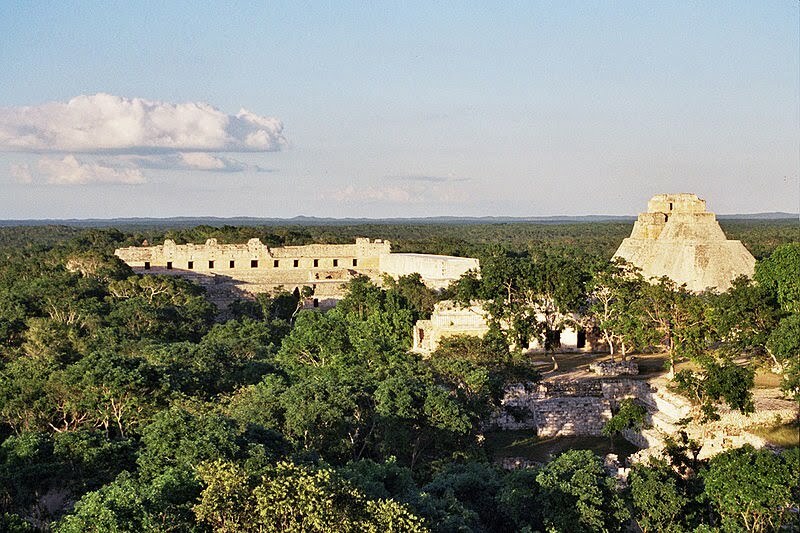 The Maya economic system was based on trade and agriculture. They were the first civilization to understand that you can't grow crops on the same piece of land indefinitely, without ruining the land. They allowed the jungle to reclaim their farming land so the soil could be replenished by nature and used again for agriculture at a later date. Of the early civilizations in the area, the Maya made the greatest use of writing and developed a complicated script of hieroglyphs with some phonetic elements that, after four hundred years, isn't completely understood. The Maya are also often attributed as the first civilization to use zero in a numbering system. The aspect of the Classic Maya that most impresses me is their knowledge of astronomy and mathematics. They calculated the lunar cycle and were able to predict eclipses, sunspot activity and other heavenly events with great precision. They also tracked the orbit of planets, such as Venus. In fact, they recorded the orbit of Venus for eight years. Today, we've been able to validate the accuracy of the Maya. But we have modern scientific equipment! Along with this amazing grasp of astronomy and mathematics, the Maya formulated a unique calendar system that is more exact than the one we use today. The Maya had a religious system that is steeped in mythology and based largely on the cosmos. The Maya lived in harmony with the land and the cosmos. They knew that if they took from the land, they had to give back. They revered life and considered all life to be sacred. Hence, they said a prayer prior to killing any animal for food. They revered the cosmos for giving them crops and many festivals were created to give back or honor this source of life-giving sustenance. The Maya understood that everything in the universe is made up of energy. The same energy is in all of us - people, animals, plants, the environment, planets and even our dead ancestors. We are all connected through this source energy. We are all one! The Maya believed in the balance of opposites - life and death, day and night. You can't have one without the other. To the Maya, death wasn't the end, it wasn't to be feared. We simply transform and move to another world. The Maya often used the symbol of the skull. But the skull didn't mean death as it often does today. The skull was the epitome of life. You can't have life without the skull. As you can see, my research paid dividends. My passion for the Maya is also obvious. No wonder the Maya found its way into my latest manuscript. However, most of the above research is for me. My readers don't get to read the majority of the details outlined above, at least not in a fiction manuscript. Research is often for the writer - not the readers. This information fuels my passion and enables me to write from the heart. My readers may not have the same passion. In fact, I doubt very much that they do. Therefore my goal as a writer is to create a great character-driven story and only include background research when necessary to the plot. A story shouldn't be slowed down by research material. Part two will be coming soon. Until then, take care and enjoy life. Remember we are all one, connected through the source energy that makes up everything in the cosmos. A few weeks ago I blogged about my latest manuscript, a 42,000 word novel for 10 to 14 year-olds. I discussed the common advice to writers that tells us to write about what we know. I added another thought to this advice, which is to write about our passions. That's what I did with my latest manuscript. Writers are often asked: "Where do you get your ideas?" The question isn't always easy to answer because sometimes ideas seem to pop into our heads out of the blue, as if from nowhere. In my opinion "nowhere" is actually the subconscious mind. Our conscious and subconscious minds absorb everything around us. Our experiences and memories become part of the subconscious mind. When an idea seems to pop into our heads, it's the subconscious mind that gives us the idea from our stored experiences and memories. The experiences and memories may be new or they could be old. Apparently we don't forget anything. Everything is stored in our subconscious mind. The problem is our ability to recall information. Can you remember a time when you simply couldn't think of an answer to a question? Perhaps you had trouble recalling the name of a movie. It was on the tip of your tongue. Later, the answer popped into your head. The problem wasn't the loss of memory but rather a problem with accessing the information. My latest manuscript was a different experience for me. No popping into my head, though I'm sure my subconscious mind was still involved. The plot came slowly and, when it finally did, I realized my life's experiences and interests came together in this one story. Okay, perhaps not every one of my experiences. But my main interests, my passions, were evident in the story. My subconscious delved back into my childhood to remind me of an earlier interest. When I was a child, I loved reading the Nancy Drew, Hardy Boys and Famous Five series, as well as other mysteries. I remember reading a Hardy Boy's novel called "The Mystery of the Aztec Warrior". 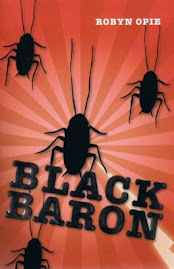 This novel got me interested in the Aztecs and, through further reading, I became interested in the Inca and the Maya. At the time, I was particularly intrigued by the ancient Maya of what is known as the Classic Period. For some reason, I felt a connection to the Maya. Time went on and my life changed. I grew up, left school, got a job and married. I forgot about the Maya. Fast forward approximately 25 years. The ancient Maya are a passion of mine. Once again, I feel a connection to this amazing early civilization. I read everything I can about them. They fascinate me and I believe we can learn a lot from them. However, the ancient Maya didn't inspire my latest manuscript. My initial idea had nothing to do with this classic civilization. In fact, when I first started thinking about what I wanted to write, I'd still forgotten my interest in the Maya. I had no idea my passion would resurface after approximately 25 years. As I mentioned earlier in this blog, my passions came together to create my latest manuscript. The ancient Maya are one facet - one passion. Who knew I'd include them in a plot? My other passions, which are also part of my latest manuscript, are newer interests. Mainly because times are changing. We've become more accepting, open-minded perhaps, and science continues to advance. My final plot involved at least three of my passions, and they are my main interests. I've immersed myself in these subjects, learning everything I can about them. Hence, my advice to write about your passions. I know about the Maya, for example, because of my passion for these people and their history. Without the passion, I'd have no knowledge. Therefore I write about what I know - my passions. I'm not going to explain the entire idea of my story or reveal the rest of my passions here and now. This blog entry would be too long. 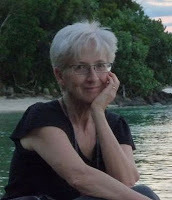 You'll need to come back and keep reading as I add more about developing my idea for my latest manuscript. It’s funny how stories come to be. Princess Clown began with two words – princess and clown (naturally), but they weren’t just any old words. To me, they jangled and bangle-d and clashed together. They did not match. In other words, they would do the job of creating TENSION and CONFLICT – just what a story needs. Of course, it’s fine to have an idea for a story but you have to take it further! I love what master-storyteller Stephen King says about that elusive component to writing – “extracting the story”. 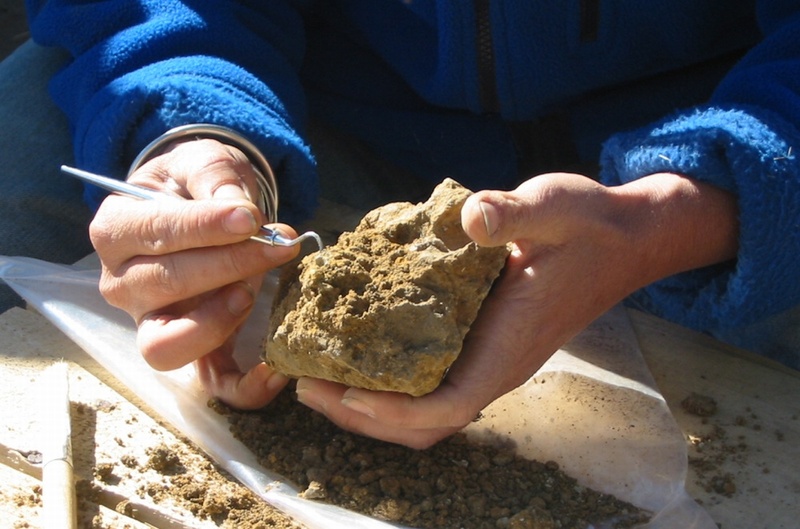 He likens the stories and the ideas upon which they are founded to “fossils” and writers to “archaeologists” (correct term should be “palaeontologists” if we’re talking about fossils, but let’s not quibble over this often confused term). “Our job as writers is to extract the story – using everything from jackhammer to toothbrush – to reach its pristine form.” Stephen King. 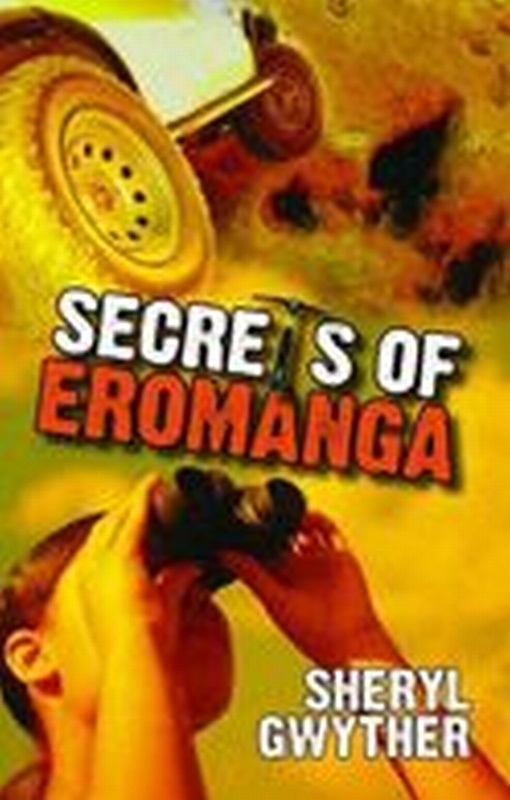 This terminology of locating and extracting ancient fossil treasures in the earth struck a chord with me because I worked on a fossil dig in Western Queensland while researching my junior fiction, Secrets of Eromanga. That process is exactly what finding your story is like. You must sense whether it is time to get down and dirty with the jackhammer and forget about the damage inflicted. For me, this is the dreaded, mental agony of the first-draft stage. The reward comes with the toothbrush, paintbrush and dental pick – rewriting stage – just like on a fossil dig when the tiniest, most fragile imprint of an ancient pine cone waits to see the light of day. You tease it with the dental tool, you coax it with your toothbrush and you brush away the layers until it is exposed in its pristine form. Ahhhh! Well, almost pristine. There is always room for improvement in writing – which is why I appreciate my writing friends. They are the ones I trust to read my writing drafts and be honest in their opinion; who will pick up inconsistencies or notice when a bit of “telling not showing” creeps in. They share the frustrations, the rejections, the successes of a writer’s life. Then, there’s the joy of digging through history, researching …. but that is another story! I'm happy to annou nce the blog tour for Princess Clown written by Sheryl Gwyther and published by Blake Education. Princess Clown is in Blake Education’s Gigglers Blue 2 series – a set of 8 books especially designed as high-interest chapter books for 7 to 8 year olds. These books are very popular with children and with teachers. 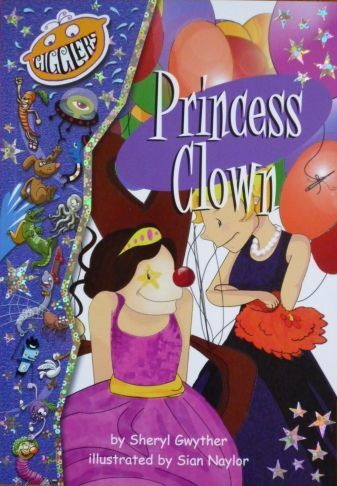 Princess Clown is also available online or from educational retail outlets.